FEMALE CEO, EMILY WEBB, LAUNCHES MYLüCKE TO MAKE PARKING IN L.A. EASY….YES EASY! We’ve all been there…you’ve managed to fight the L.A. traffic to get to your big meeting, audition, red carpet on time but now there is no parking! You could pay the outrageous valet (if you’re lucky enough that they have one) or circle endlessly eyeing the clock. Enter MyLücke. MyLücke, from female founder Emily Webb, is an on-demand, private parking marketplace that makes hourly, daily, weekly and monthly parking easier for drivers, while serving as an additional source of income for people with under-utilized parking spaces. Think the Airbnb for parking! In the new ‘share economy’ it was only a matter of time before someone tackled the issue of parking in Los Angeles and while there have been a few lack-luster competitors, MyLücke is the FIRST to target private parking spaces! We also really love their unique features like being able to extend your reservation through the app (based on availability). Plus, there is a 24/7 parking concierge and customer support. Did we mention that the Renters receive 100% of the rate set. So you can rent your spot, pick the price and make money for virtually doing nothing! We sat down with Emily to talk inspiration, parking fails, and how to create your own luck in Los Angeles. PPLA: What inspired you to create MyLücke and how long did the process take from idea to launch? EW: The inspiration to create a parking solution for Los Angeles came from my personal experience when I moved to Los Angeles and began working in DTLA, and then started commuting from Hollywood to Brentwood. The cost of public parking and tickets from meters and street cleaning began to take a financial toll on me. My incentive to build this business resonated with me the moment I began to notice numerous driveways sitting empty, all over L.A. I incorporated in March 2014, and launched January 2016. PPLA: Did you have a background in the tech space prior and what were you doing when you decided to create this app? EW: I did not have previous experience in the tech space, but that didn’t intimidate me because I believe I can do anything I want to in life. I’ve always been passionate about finance and my dream for years had been to work at a hedge fund. I was working for Logica Capital Advisers in Brentwood when this idea came to fruition. PPLA: How do you hope MyLücke will change Los Angeles and parking in big cities in general? EW: It’s more than hope, it’s knowing that this is a logical and real way to solve parking problems, but not one company has been able to capture the private parking marketplace in the U.S. I’m looking forward to being one of the first startups in the parking industry that is able to disrupt this space through technology, apps, strong customer service and a share economy solution. It’s a win-win, for everybody. Our goal is to supplement Los Angeles’ current parking with private spaces, help to alleviate traffic congestion and provide a platform for people to generate additional income. PPLA: What cities do you plan to expand to next and when? EW: Our main focus right now is Los Angeles, given the magnitude of this undertaking and how many municipalities we want to address. We need to prove the model here first, and have realistic expectations of expansion. Our vision would be to expand to San Francisco next, and not necessarily focus on a city but specific areas where parking problems exist, such as college and beach towns. PPLA: What is the biggest challenge in getting the word out about MyLücke being as it’s such a new concept? EW: Our biggest challenge is brand awareness and the amount of traction channels that we have to address in our surround sound marketing campaign, in such a big city. We understand that concentrating on specific areas of Los Angeles is most effective, such as the Westside and Hollywood, where we know parking issues exist and people have reacted positively to this new concept. 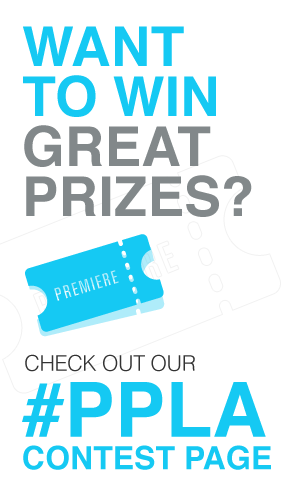 PPLA: Do you have any competition? And how do you feel the share culture (Ridesharing options, Airbnb etc.) has paved the way for this? EW: Yes, we have competition, but as I mentioned, not one company has dominated the private parking marketplace. We are certainly at the right place and the right time to shift the antiquated parking industry into a share economy. Other indirect competitors, such as ridesharing companies and AirBnB have helped to change the way society thinks about the share economy, and in a way, have allowed people to accept this space. This is a time for the people to be their own boss, take control of their destiny, and be able to make money in creative ways. The traditional 9-5 work week is fading as companies like MyLücke and Uber provide a platform for people to generate income in a non-traditional way. PPLA: What words of advice to you have for other female entrepreneurs in tech? And do you think L.A. is a good city to be in for tech innovation? EW: Female entrepreneurs in the tech space have to continue to execute, build sustainable companies and believe in themselves. In a male dominated space, women in tech bring so much value in the way we operate as individuals and as females. As we begin to create more of a balance in the gender roles in the tech space, we are laying the foundation for women entrepreneurs in the years to come and will hopefully, bring a gender balance to the tech space by pushing forward and never giving up. I absolutely think Los Angeles is city of opportunity for entrepreneurs in tech. Startup organizations continue to grow and there are endless support systems in multiple areas of Los Angeles where innovation can be fostered. I’m proud to be a part of a “new” Silicon Valley and believe Los Angeles has great potential to cultivate innovation. PPLA: Any secret parking spots or tips for Angelenos? EW: Don’t ever stop exploring! Los Angeles has so much to offer, and it’s up to the people to take advantage of the endless opportunities. Continue to discover yourself through discovering this city. As for parking spots, you’ll have to try the MyLücke app! PPLA: Anything else you’d like our fans to know about you or MyLücke? EW: I’d like the fans to know that I am doing this for you! I am giving this business everything I have because I’ve experienced Los Angeles parking struggles, I’ve had financial burdens, and I’ve dreamed of solving a universal problem and now I’m finally doing it. I am here to listen, to build and to grow what is going to be an incredible parking industry disruptor, while allowing people to take control of parking and make money doing it! PPLA: Any celebs currently using your app or dream celeb to rent out a spot? EW: Any celebrity who has ever received a parking ticket, #ParkWithUs, and I promise, you won’t get a ticket! Plus, there is privacy in parking in someone’s private spot versus a public parking lot. Download MyLücke for free in the App Store.